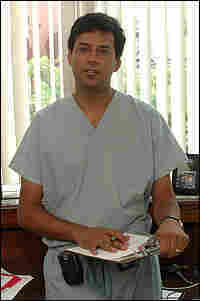 Atul Gawande Reads from 'Better' Some doctors are "better" than others. The author and surgeon explores the meaning of excellence in medicine — and life. 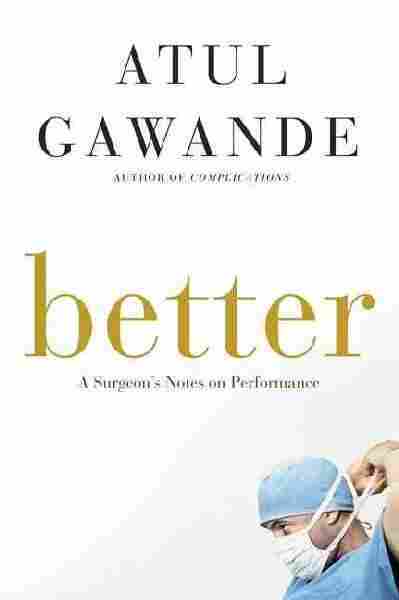 On the page and off, Gawande is obsessed with the fragile balance between doing harm and doing good. Recorded at Politics and Prose, Washington, D.C.
Atul Gawande describes Better — in characteristic understatement — as "just a book of medical stories." What Gawande doesn't say is that his "medical stories" are those of an accomplished surgeon and supremely insightful guide to the arcane world of medical practice. The essays in this book are knit together by Gawande's view that "good enough" is far short of where we should be — in medicine and in life. One way to get to excellence, he says, is to measure performance along the way. In the end, though, the tales Gawande tells are not about the medical system but the individuals who make it up; not so much about science as small but essential acts of humanity. A staff writer for The New Yorker and a contributor to The New England Journal of Medicine, Gawande often picks up his pen between operations. He published his first book, Complications, on how doctors learn an imperfect and ever-changing craft, while he was still a resident. It was a National Book Award finalist in 2002. But it took a MacArthur "genius" fellowship in 2006 for some of his surgical colleagues to see his writing as more than a hobby. 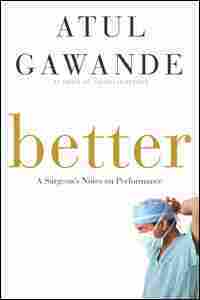 On the page and off, Gawande is obsessed with the fragile balance between doing harm and doing good. He exposes the challenges that keep doctors from being their best in an environment where a simple act like hand-washing is a life-and-death issue. It turns out, surprisingly enough, that the secret to doing "better" isn't more research, or new technology. It's finding ways for doctors to make better use of the knowledge they already have. This reading of Better took place in April 2007 at the Politics & Prose bookstore in Washington, D.C. The director of Fairview-University Children's Hospital's cystic fibrosis center for almost forty years has been none other than Warren Warwick, the pediatrician who had conducted the study of LeRoy Matthews's suspiciously high success rate. Ever since then, Warwick has made a study of what it takes to do better than everyone else. The secret, he insists, is simple, and he learned it from Matthews: you do whatever you can to keep your patients' lungs as open as possible. Patients with CF at Fairview got the same things that patients everywhere got—some nebulized treatments to loosen secretions and unclog passageways (a kind of mist tent in a mouth pipe), antibiotics, and a good thumping on their chests every day. Yet, somehow, everything Warwick did was different. In the clinic one afternoon, I joined him as he saw a seventeen-year-old high school senior named Janelle, who had been diagnosed with CF at the age of six and had been under his care ever since. She had come for her routine three-month checkup. She wore dyed black hair to her shoulder blades, black Avril Lavigne eyeliner, four earrings in each ear, two more in an eyebrow, and a stud in her tongue. Warwick was seventy-six years old, tall, stooped, and frumpy-looking, with a well-worn tweed jacket, liver spots dotting his skin, wispy gray hair—by all appearances, a doddering, midcentury academic. He stood in front of Janelle for a moment, hands on his hips, looking her over, and then he said, "So, Janelle, what have you been doing to make us the best CF program in the country?" "It's not easy, you know," she said. They bantered. She was doing fine. School was going well. Warwick pulled out her latest lung-function measurements. There'd been a slight dip, as there was with Alyssa. Three months earlier, Janelle had been at 109 percent (she was actually doing better than the average child without CF); now she was at around 90 percent. That was still pretty good, and some ups and downs in the numbers are to be expected. But this was not the way Warwick saw the results. He knitted his eyebrows. "Why did they go down?" he asked. Any cough lately? No. Colds? No. Fevers? No. Was she sure she'd been taking her treatments regularly? Yes, of course. Every day? Yes. Did she ever miss treatments? Sure. Everyone does once in a while. How often is once in a while? Then, slowly, Warwick got a different story out of her: in the past few months, it turned out, she'd barely been taking her treatments at all. He pressed on. "Why aren't you taking your treatments?" He appeared neither surprised nor angry. He seemed genuinely curious, as if he'd never run across this interesting situation before. He kept pushing. "What keeps you from doing your treatments?" "Up here"—he pointed at his own head—"what's going on?" "I. Don't. Know," she said. He paused for a moment. Then he turned to me, taking a new tack. "The thing about patients with CF is that they're good scientists," he said. "They always experiment. We have to help them interpret what they experience as they experiment. So they stop doing their treatments. And what happens? They don't get sick. Therefore, they conclude, Dr. Warwick is nuts." "But let's look at the numbers," he said to me, ignoring Janelle. He went to a little blackboard he had on the wall. It appeared to be well used. "A person's daily risk of getting a bad lung illness with CF is 0.5 percent." He wrote the number down. Janelle rolled her eyes. She began tapping her foot. "The daily risk of getting a bad lung illness with CF plus treatment is 0.05 percent," he went on, and he wrote that number down. "So when you experiment you're looking at the difference between a 99.5 percent chance of staying well and a 99.95 percent chance of staying well. Seems hardly any difference, right? On any given day, you have basically a one-hundred-percent chance of being well. But"—he paused and took a step toward me—"it is a big difference." He chalked out the calculations. "Sum it up over a year, and it is the difference between an 83 percent chance of making it through [the year] without getting sick and only a 16 percent chance." He turned to Janelle. "How do you stay well all your life? How do you become a geriatric patient?" he asked her. Her foot finally stopped tapping. "I can't promise you anything. I can only tell you the odds." In this short speech, I realized, was the core of Warwick's worldview. He believed that excellence came from seeing, on a daily basis, the difference between being 99.5 percent successful and being 99.95 percent successful. Many things human beings do are like that, of course: catching fly balls, manufacturing microchips, delivering overnight packages. Medicine's distinction is that lives are lost in those slim margins. And so he went to work on finding that margin for Janelle. Eventually, he figured out that she had a new boyfriend. She had a new job, too, and was working nights. The boyfriend had his own apartment, and she was either there or at a friend's house most of the time, so she rarely made it home to take her treatments. At school, new rules required her to go to the nurse for each dose of medicine during the day. So she skipped going. "It's such a pain," she said. He learned that there were some medicines she took and some she didn't. One she took because it was the only thing that she felt actually made a difference. She took her vitamins, too. ("Why your vitamins?" "Because they're cool.") The rest she ignored. Warwick proposed a deal. Janelle would go home for a breathing treatment every day after school and get her best friend to hold her to it. She'd also keep key medications in her bag or her pocket at school and take them on her own. ("The nurse won't let me." "Don't tell her," he said, and deftly turned taking care of herself into an act of rebellion.) So far, Janelle was OK with this. But there was one other thing, he said: she'd have to come to the hospital for a few days of therapy to recover the lost ground. She stared at him. "We've failed, Janelle," he said. "It's important to acknowledge when we've failed." Copyright © 2007 by Atul Gawande. All rights reserved.